I’ll add a couple more things from my filing cabinet for your perusal. 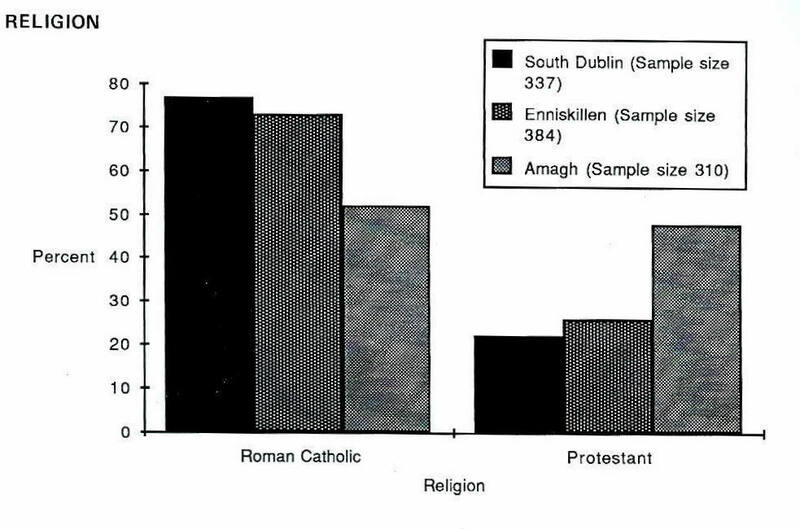 Dublin, Enniskillen and Armagh workhouse populations were both bottom heavy and top heavy i.e. 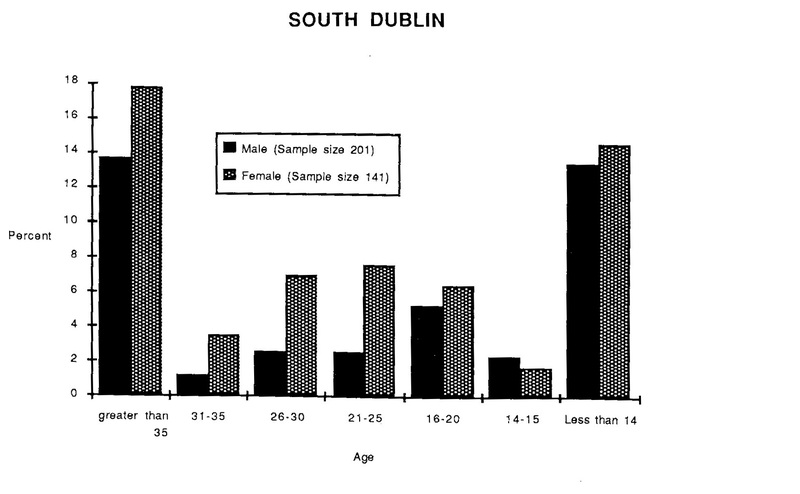 the largest age groups were the elderly and the young. These were the foundation for my measure of orphans’ family size, age at marriage, age at death, marriage partners et al. Sometimes my family reconstitution forms proved difficult to understand. Here Allan Smith was very close to getting it exactly right. Sometimes I had my doubts I’d recaptured an Irish female orphan. I had doubts about this next one so did not use her in my calculations. 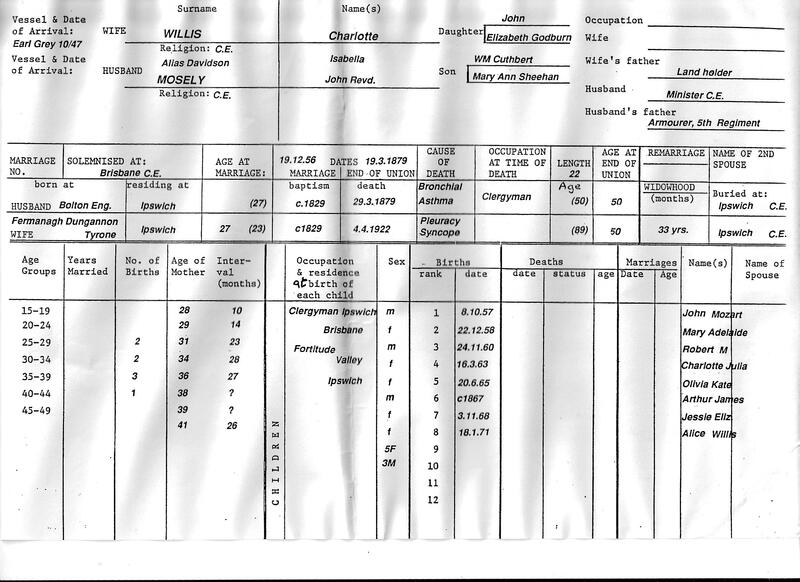 Charlotte Willis Family–not an orphan? 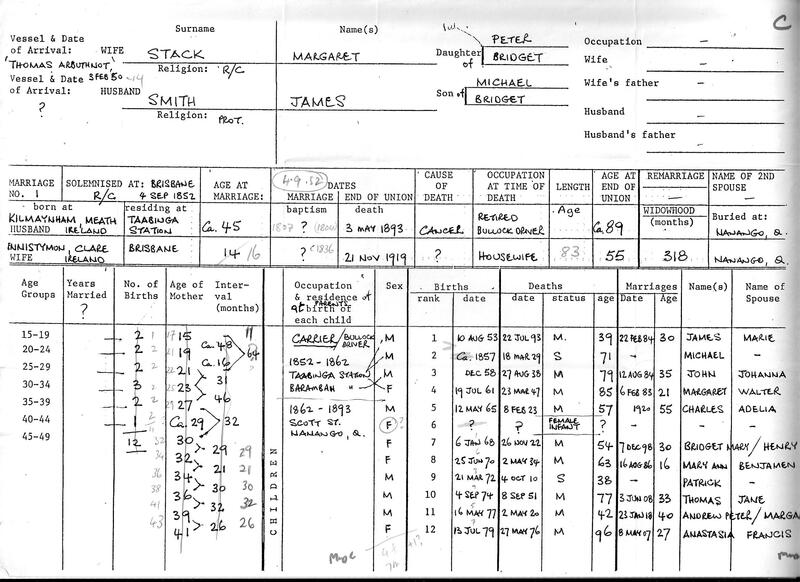 Sometimes I was fortunate enough to go back into civil registration records to check on things; I found family historians often underestimated the size of their orphan’s Australian family. Having to purchase every registration that was made was just too expensive. Here’s one that got it exactly right. This entry was tagged Armagh workhouse, Atlas of the Great Irish Famine, Charlotte Willis, Dublin workhouse, Family reconstitution, Honora Shea, Irish workhouses, mapping the Great Irish Famine, Margaret Stack, religion of Irish workhouse inmates in 1848, status of Irish workhouse inmates. Bookmark the permalink. My name is Julie and I am a final year undergraduate studying for a Bachelor of Historical Inquiry and Practice through the University of New England. I have also been a family history researcher for over 25 years. A few years ago I was able to confirm that my 3 x great grandmother was an Earl Grey Irish orphan. Her name was Jane Kelly and she came out on the Digby in 1849. Upon researching her life, I came across criminal records for her. She was gaoled a few times in the 1860s (Darlinghurst) for vagrancy, obscene language, etc. Her life of crime came to an end after her friend and fellow ship mate, Bridget Higney, suffered an epileptic fit in gaol and died in 1866. Upon digging a bit further I have found that many other orphan girls ended up on the living, working and committing crimes on the streets of Sydney, even up to 30 years after arrival. I am currently building a database to track these girls and their crimes and from this I will put together a research proposal for my final university unit. You being the foremost authority in this research area, I was wondering if you could tell me if you are aware of any research done regarding the orphans committing crimes after arrival in Australia? I have positively identified 16 orphans so far (some with quite lengthy criminal records), with another 45 or so on my list of potential candidates to work through. Obviously the work has been slow and painstaking due to most of the girls marrying and by the time of their crimes, using their married rather than maiden names. I am using gaol records (ship name in keyword search box), newspaper records on TROVE, birth, death and marriage records, Benevolent and other asylum records to track the events in their lives as well as using your book Barefoot and Pregnant and the Irish Memorial database. All going well, from this research unit, I would hope to be able to gather enough data to use for an honours project further down the track. Any advice you could provide me would be very gratefully appreciated. That looks a most interesting project. Unfortunately I do not know of anyone else working in that specific area. But i’m not exactly up to date. Some years ago I did attempt something similar for ‘orphans’ in Victoria. But briefly. It was just when the microfiche of Melbourne women’s gaol records became available. 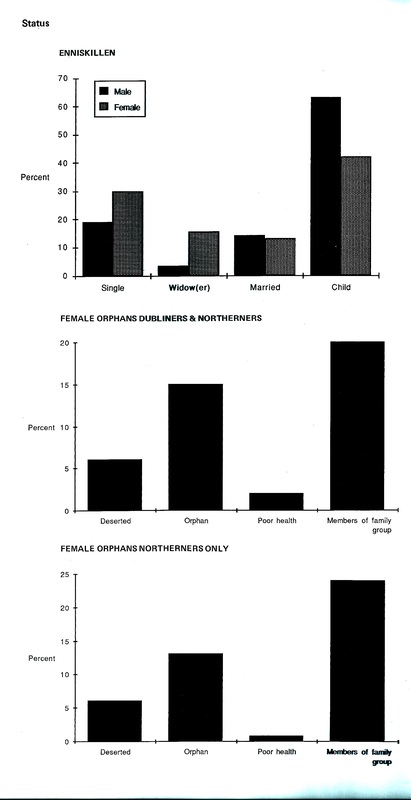 I didn’t persist, partly because I didn’t live in Melbourne, partly too because what i was finding didn’t convince me that these were in fact always orphans that I was finding. 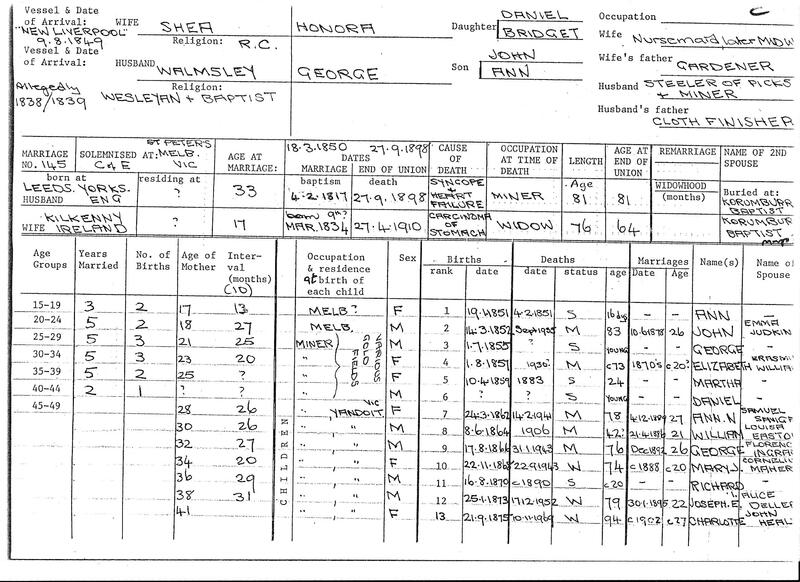 The ship’s name accorded, but often there was something else that was dubious– i couldn’t find the appropriate marriage records, or the age was different. There were too many ‘ifs’ for my liking. The other thing that discouraged me, if i may quote from the preface to volume one (1991) of Barefoot? Still. that is not meant to discourage you. Having solid evidence about the women who struggled and were in and out of gaol, mostly(?) for misdemeanours(?) is a worthy project. My own chapter in “Irish women in Colonial OZ” has something on Irish women and crime. No doubt you are aware of that. Maybe putting your project in a larger context about women and crime could be the way to go for your Honours’ thesis?? Thank you Trevor. Yes it is very difficult to identify each orphan, but with persistence hopefully I can identify a sizeable number. Most of those I have identified so far come from the ships ‘Digby’ and ‘Tippoo Saib’, which only arrived in NSW once each. The other ships make it more difficult to identify the girls. I have really ‘fallen’ for these girls now so I am determined to find an area that I can research to its full potential. Appreciate your advice and I will continue to follow your blog – fantastic idea! May I ask if you will include other than the present New South Wales? If the present Queensland, Victoria and South Australia are included (or maybe not all of them) it would be easier to find more cases. If the subject of your thesis was something like “Earl Grey’s Irish famine orphans and their criminal activity in Australia” (choosing your title/defining your subject can be very important), you’ll need to work out what framework to use, what context to have, what sorts of questions do I want/need to ask. p.s. i may be offline for a while. Cheers Trevor. I have only just contacted my potential supervisor in regards to this project and I am awaiting a response. At this stage I am particularly interested in those who were in Sydney, however depending on what I find I am certainly open to exploring others states. Early days as yet. I will most certainly keep you updated with the progress!